Your business plan is well thought out. You and your initial partners, along with a few family members and friends, have invested small amounts of equity. On the other hand, you and your partners have contributed enormous amounts of energy. Perhaps a prototype model has been produced. Now you’re ready to get out of the starting blocks. To move your new business forward, you need outside investors – a necessity. You’ve prepared pro forma financial statements and a cash flow budget, so you know your future funding needs – assuming you hit all projected targets, expenses are estimated with a certain degree of accuracy, and no unforeseen events happen. In addition to the basic financial information, you also know estimated gross and net profit margins, key ratios, the competitive landscape, efficiencies of the supply chain management function, current and future marketing strategies, and the cash “burn rate.” And there’s one other important item: how you are going to use the VCs’ investment, with an ability to demonstrate this in detail, on paper. Perhaps you take the final number you’ve calculated for your business needs, decide what percentage of the company you’re willing to give up for this amount, and go to work trying to find an investor. But there’s another way, one that will sweeten the deal for potential VCs. You can separate the amount of money needed for your startup into incremental funding stages as operational milestones are met. A new business proposal, inexperienced entrepreneurs, or a large amount of requested equity can scare off many potential investors. What you want to do is put them at ease. One way to lessen a VC’s apprehension about investing in a new project is to present predetermined milestones to be achieved before additional money is funded. When business goals for a startup are clearly stated in “milestone” achievements that coincide with funding, VCs are more likely to take an interest, since the investment risk is decreased. If the startup meets or exceeds intended goals, then subsequent rounds of funding are made, per the agreement. This keeps the VC satisfied and the startup on course. VCs expect a high rate of return on their investment and, equally, must have confidence in the entrepreneurial idea and the entrepreneurs themselves. When entrepreneurs request funding in incremental stages after certain milestones are achieved, a high level of confidence is established. When goals are not met, future incremental funding temporarily ceases until further discussion and alternate courses of action are decided upon. At this time, it is important to discuss the “whys” of failure and how the project can get back on track. 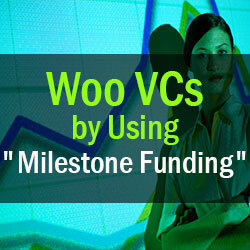 Milestone funding, in effect, lowers the risk for a VC. Rather than funding an entire project upfront and risk losing the entire investment if the company’s strategic plan and actual results do not parallel each other, the VC has the “safety net” of incremental funding, which offers a level of assurance that precise objectives will be met before the VC takes more financial risk. As long as milestones are achieved, the entrepreneurial venture is assured that needed ongoing funding will be available. If actual results exceed expectations, there is also the possibility that additional funding above original amounts will be available if needed due to a strategic change in plans as the business evolves. Be upfront with expected numbers – no wavering about expected results. Establish logical objectives that can be met. Be well prepared to achieve the company’s intended results. When milestones are achieved, it demonstrates the entrepreneur’s ability to execute the strategic plan – operations, marketing, sales, recruiting – all aspects of operating a business that are necessary ingredients to be a successful venture. Nothing is left to the imagination. Goals are established; goals are met. Requesting milestone funding helps “sell” you to potential funders, because it demonstrates that you have a firm grasp of and confidence in your business, your abilities, and your future success. 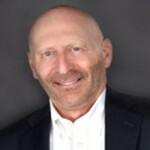 Richard L. Weinberger, PhD, CPA, has over 30 years' experience as a financial and management consultant for small businesses. An esteemed thought leader and speaker, he is CEO of the Association of Accredited Small Business Consultants. His new book, Propel Your Small Business to Success: Accelerated Actions to Maximize Profit, gives small business owners a step-by-step method for reviewing and analyzing every aspect of their company in order to increase profitability.